In case you’re wondering about the title, I’m not talking about the virtual world Second Life, although I do still visit there from time to time. Rather, I am referring to my second visit to the life drawing class I wrote about last week. After I blogged last week, my brother (also a keen artist) drew my attention to a couple of figure drawing resources available on YouTube. One is a series of lessons at Love Life Drawing. The other is Croquis Café, which has a number of different things available including several of their own tips videos (effectively short lessons) but, to my mind, the best of them is a whole set of virtual life drawing sessions (roughly 25 minute videos each featuring a model, or occasionally two, holding a series of short poses to give a slightly better approximation of a real life drawing session than just using photos). I’ll probably write a bit more about the pros and cons of using videos such as those found at Croquis Café in another blog post soon. For now, suffice it to say that I’ve worked through several videos (mostly CC ones, but also about half the beginner lessons at LLD) in the past week, as well as doing quite a lot of more general drawing practice and reading a bit more on figure drawing and anatomy. I think that preparation paid off as I felt a bit more confident at today’s life class, and I think my results were slightly better too, although it will take a lot more time and practice before I really get a handle on life drawing (and at least a lifetime to master the subject). Rather than give a blow by blow account of today’s session here, I’ll just direct your attention to my album of life drawing pictures at Flickr, where you can see my sketches from today’s session, as well as last week and hopefully in future plenty more to come. I’ve used the description area of each photo’s page to provide a bit of a running commentary on the sketches. This particular album is reserved for my actual drawings from real life (although I’m including artwork I’ve based directly on such sketches as well), while I’ve got another album set up for drawings from Croquis Café resources. 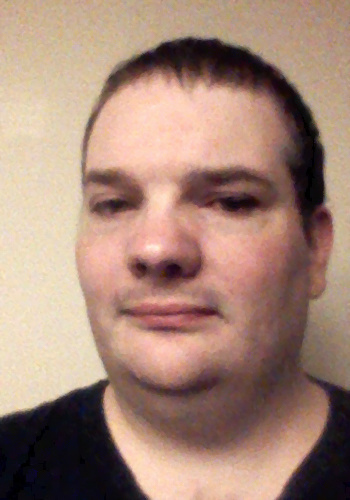 Here we are, almost three weeks into Movember and I’m still not entirely used to the beardless version of myself. I no longer wince every time I look in the mirror but it still definitely feels like I’m looking at somebody else. Suffice it to say that I’m fully intending to put the razor well away as soon as we hit December. I may even get round to writing a blog post on a different subject sometime soon too! In the meantime, since the official Movember thing is supposed to be about growing a moustache rather than about shaving I thought you might like to see how I’m doing. So here is a snapshot I took yesterday. At the rate my moustache seems to be growing at the moment, I fear I won’t have much scope for fancy styling before I reach the end of the month. My facial hair suffers from the unfortunate combination of being quite dark but rather slow-growing and not all that dense, which means that I start to look unshaven fairly quickly after I shave but it takes a long time to get a useful amount of hair to work with (or to provide insulation from the cold etc.). Therefore, in the unlikely event that I should ever do Movember again, I’d probably start by just shaving the non-moustache bits of my beard and get straight to work on styling a more interesting ‘tache rather than having to wait the whole month to even begin to reach a point I can start thinking about that. In fact, if I start growing my hair (i.e. the stuff on top of my head) now, I may be able to pull off a Derek Smalls impression sometime in the next couple of years (he’s the bass player from Spinal Tap, in case your wondering, and sports a notable handlebar moustache). Once again, thanks to everyone who has contributed to my Movember fundraising. The total currently stands at £900, not including Gift Aid (which is probably at least another £100 on top) so we’ve pretty much doubled the target I’d set. So, November (or as I’ll have to call it this year, Movember) is upon us, the world fulfilled its target of raising £500 for my Movember Challenge (and then some – £646 at present with at least a bit more still to come in, and that’s not counting any Gift Aid added to donations) and I too have upheld my end of the bargain. The mechanics of shaving were accomplished relatively easily, after a first pass with hair clippers to reduce that lot to something more manageable. I was particularly impressed that, for my first shave in more than 20 years, I only needed one small application of a styptic pencil to stop a minor cut. As I recall, that’s significantly better than my average used to be when I shaved regularly. Perhaps the fact that tonight I was using a brand new razor (and a proper Gillette Mach 3 to boot) rather than a cheap disposable that I kept going for way longer than was sensible might have had something to do with that. 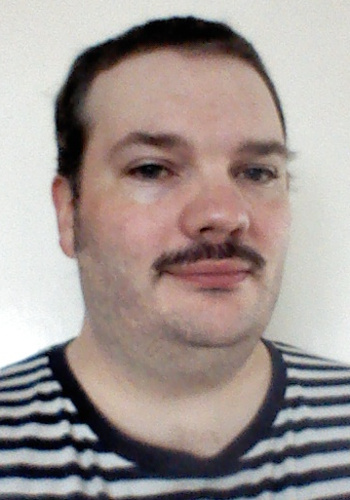 I did take the opportunity, while I was having the initial trim, to give myself a sneak preview of what I look like with just a moustache (not a style I’ve ever previously tried, and quite possibly not one I’ll ever try again after this month). Sadly, I’d forgotten to put my phone on the charger earlier in the day so it was busy charging in another room while I completed the shave and I didn’t get a chance to take any shots of the work in progress. Still, that gives you something to look forward to later this month. I don’t know what you make of that. My own reaction is that it’s not, I suppose, too gruesome but it definitely isn’t me. Up until this morning, I was holding out hope of raising almost but not quite £500 for my Movember Challenge and thus being able to escape with my honour and my whiskers intact and still have raised a decent amount in aid of men’s health issues. However, the donation total has now exceeded the target (it’s just shy of £600 at the moment and hopefully will go up even more) with still a week to spare. So, since you’ve managed to fulfil your bit of the challenge I will also do mine and, by round about this time next week (certainly sometime on 1st November, though it may not be until the evening) I will wield a razor for the first time in two decades and prepare the field for the cultivation of my Movember ‘tache. In a way, I’m kind of glad because I had actually already gone out and bought myself a shiny new razor and watched a handful of youtube videos (a commodity that didn’t exist last time I shaved!) to remind myself how to use it. Huge thanks to everyone who has donated, especially the two anonymous donors who each gave £150. I will be aiming to get some documentary evidence before and after (though probably not during) the big shave, as well as some kind of photographic record of the state of my facial hair throughout Movember, so I trust you’ll all feel that you got value for money (apart from the warm glow of supporting a good charitable cause). If you haven’t donated yet, it’s not too late to do so and if you were intending to, or were just hoping to see me beardless for a bit and cheekily hoping that enough other people would cough up so you wouldn’t have to, or have only just learned about my challenge and would have chipped in if you’d heard about it earlier, I would especially encourage you to put a quid or two (or as much more as you want and can afford) into the pot. The preferred way to do this is still to donate directly via my MoSpace (which should be up and running well into November, if not beyond). Alternatively, if you’re able to get the money to me in person (cash or cheque preferable), I can pay it in myself. Or, now that the target has been reached, if neither of those alternatives is feasible you could just make your own donation to the Movember Foundation or some other charity supporting men’s health, or cancer research etc. I have issued the challenge to myself and the rest of the world that if (and only if) I can raise £500 by the start of November, I will shave off my beloved beard of 20+ years and grow a moustache from scratch for the duration of the month. The money is for the Movember Foundation, which promotes men’s health, and the incentive is for you all to get to see what I look like without whiskers. The shaving will only commence if the target has been met by the time I wake up on the morning of 1st November. At present, roughly half way between when I first issued the challenge and the moment of truth, I’ve raised slightly less than £200. Not a bad amount of money for a good charitable cause, but somewhat less than half way. So for the moment it appears that my beard is safe. If you want to change that situation, the best thing to do is to visit my MoSpace and donate directly; you can do it anonymously or privately if you don’t want to tell the whole world about it. Alternatively, if prefer not to donate electronically, but can get the money to me in person, I’ll pay it in to the Movember fund for you; so far about £50 has gone in this way and any money I’ve received will be counted towards the target even if I’ve not had a chance to pay it in before the deadline is reached. What I’m not accepting is just vague promises to pay up – if you want to see me without a beard, you’ve got to part with your cash before I part with my face-fungus (and probably a certain amount of blood, given how out-of-practice I am at shaving). Massive thanks to everyone who has already contributed to this initiative. I truly hope that enough other people will cough up that you won’t be disappointed! Mo is go, or no?! For the past few years, I’ve been at least superficially aware of Movember – the annual growing of moustaches for fun and charity that takes place in the month of November. I have, however, generally not paid too much attention to it since I already have a perfectly good moustache as part of my full set of whiskers and had no intention of losing the rest of the beard. A few weeks ago, one of my friends who has done Movember at least a couple of times in the past (though I’m not sure if he’s ever gone in for the fund-raising aspect of it) asked me, as he has done for the past few years, if I was going to do Movember this year. As usual, I just laughed at him (in my typical kindly fashion). Last week, I saw a poster which prominently featured the word November in a font with a very curly serif that, in conjunction with a bit of wire hanging in front of the poster, made me misread the ‘N’ as an ‘M’. A few days later I came very close to blowing a surprise birthday party that I was due to go to the following night by almost saying “see you tomorrow night” to the person whose birthday it was when he phoned me about something completely different just when I’d been making travel arrangements for the party with some other friends; I later remarked to them that I’d had a close shave, but felt the need to add that it wasn’t a literal one. The following morning, when I woke up, all these various strands converged in my head to form a plan that I’m still undecided as to whether it’s a stroke of genius or just plain crazy. I suspect probably the latter. As you will probably know if you’ve ever met me in the last 20 years or so, or seen any pictures of me taken in my adult life, I have a beard. I’m also very attached to it. In fact, the last time I shaved was in the summer of 1995, a month or so before I went off to university. I did come quite close the following year when I accidentally put the wrong guard on my beard trimmer and gave myself unintentional designer stubble, but that’s another story! Over the years, I’ve had quite a few requests from people to see me without my beard (although to my own recollection I look even worse without it than I do with it), and if I’d had £1 for each of those times I’d probably have made quite a bit of money by now. I have had at least two friends who had prostate cancer. One of them (Peter) survived but sadly the other (John) didn’t. It is, therefore in honour of them, as well as to support the general work of the Movember Foundation, that I have decided this year to do the Movember challenge. To do it properly, one is supposed to start with a clean shaven face at the beginning of November. This would, obviously, require (at least temporarily) the sacrifice of my beloved beard. So I have decided to share the challenge. 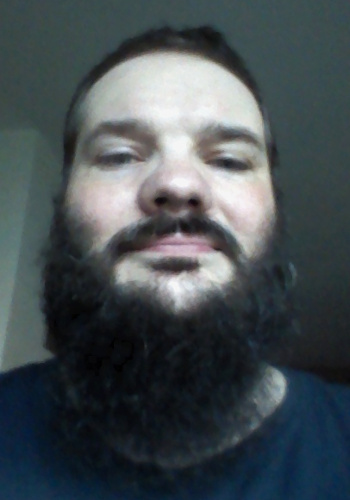 Here’s the deal: I challenge you – the rest of the world (and especially anyone who’s ever pestered me to get rid of my beard – you know who you are!) – to collectively donate at least £500 to the Movember Foundation through my MoSpace (which is the rather charming name they have for an individual’s or group’s fundraising page on their website). If that target is reached, or preferably exceeded (the more the merrier) by the end of October, I will shave my beloved beard off on the morning of 1st November, grow a moustache for the rest of the month and hold off on growing the rest of my whiskers back until December rolls around. If the target isn’t reached, the money that has been raised will still be going to this excellent cause (men’s health – not the liberation of my face from its fuzzy cladding) and my chins will stay hidden. I can but hope, but I’m not telling you (largely because I’m not sure myself) in which direction! I was aware that it was a little while since I posted anything on my blog, but I was surprised to discover when I looked just now that my last post was way back in April. Since then I’ve done some exciting things such as visiting Canada (my first transatlantic expedition, complete with a very short stop in Iceland), acquiring a lute, having a successful summer of competitions with the Menai Bridge Brass Band, brewing my first batch of homebrew beer from scratch (actually that was done before my last post, but I was waiting to see how the results were before I blogged about it, and somehow never got round to it, although they were more than satisfactory), coming up with one or two other minor culinary innovations, upgrading my phone and re-reading both the Hobbit and the Lord of the Rings. There have also been a few less joyous experiences, such as another spoke-related bike fail.